Balance Your Blood Sugar to Lose Weight and Supercharge Your Energy! Out-of-control blood sugar is wrecking havoc on Americans’ health and caused more than 100 million adults to suffer from pre-diabetes and type-2 diabetes. And, doctors and researchers have discovered a shocking truth: If your blood sugar levels regularly soar and crash your body may sustain damage to your health. The good news is that by eating the right foods, you can help control blood sugar, keep hunger at bay, and help you feel satisfied longer. 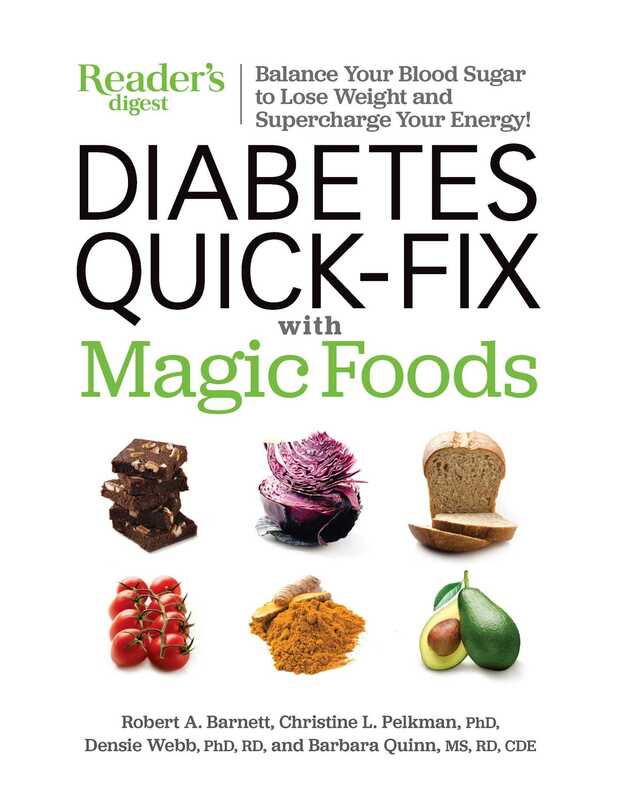 Diabetes Quick-Fix with Magic Foods is based on nutrition science, but designed for regular folks who just want to know what to eat. Inside you won’t find strict eating regimens or crazy rules about carbohydrates. What you will find are 57 magic foods that can help you bump your diet into sugar-friendly territory. The more than 125 recipes, meal makeovers, meal plans, and cooking tips make it incredibly simple to get more of the 57 magic foods onto your plate. Your meals will taste delicious and, in addition, they will rein in insulin resistance, offload dangerous belly fat, reverse pre-diabetes, and help heal diabetes while feeling more fully charged and ready to embrace life every day.